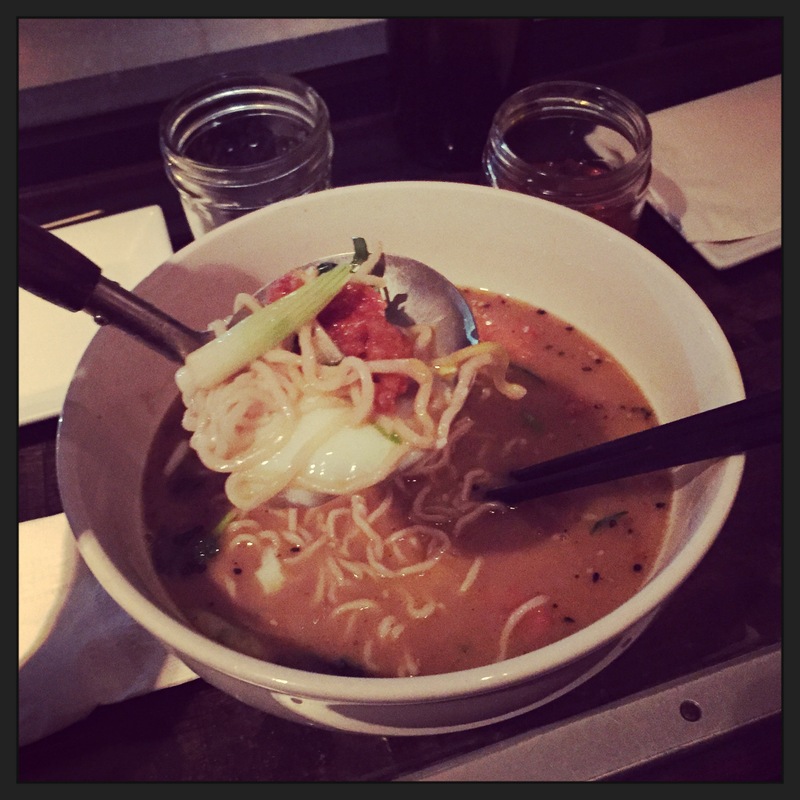 Quick Hits – Toki Underground, Washington, D.C.
I’m not usually the biggest noodle soup fan, and that applies to Pho, Ramen, whatever. It tends to never give me that satisfying full feeling after I’m done. Toki Underground changed that. Located on the growing H Street corridor in Washington, D.C., Toki Underground’s entrance is kind of hidden. Look for The Pug dive bar and the door to Toki Undergound will be on the left. Despite the name, the restaurant is located upstairs. It’s not large so there will be a wait; leave them your cell number and they’ll send a text when your seat is ready while you wait with a hipster beer downstairs in The Pug. When we were seated, our waiter thoroughly explained all the items on the menu and gave us an overview of how each ramen was different (along with his personal favorites). I went for the Taipei Curry Chicken Ramen, and my friend got the Red Miso Ramen. Both were excellent. I preferred the broth in my Taipei Curry Chicken as it was a bit creamier than her Red Miso, which was a little saltier with that miso taste. The pork belly however in hers was a little better than the chicken (though the chicken was still very good and I devoured it happily). As for the cocktails, you gotta try the Toki Monster if you’re a whiskey person. It’s essentially their version of an Old Fashioned, however they give you a little pork belly skewer to pair the libation with and it is a banging combination of delicious. I definitely plan on going back to try the other items on their menu. Toki Underground — well worth a visit.